Our hands-on cooking classes teach many culinary secrets under the tutelage of our professionally trained chef – Chef Jeff Woolley. Participants enjoy sampling of the tempting dishes prepared during their vacation cooking school curriculum. 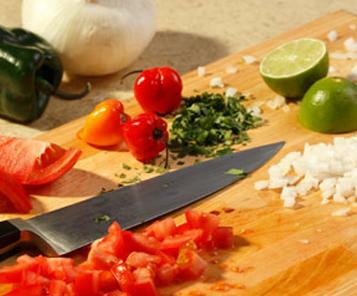 Epicurean Escapade is our two day intense, hands-on cooking classes creating a multi-course meal from scratch. Participants will spend several hours each day working alongside our chefs to create from scratch, a multi-course meal based around a central theme or ingredient. Class participation is limited to six adults, so that there’s plenty of time for questions and exploration, and so that the material can be enriching for experienced cooks and accessible to the enthusiastic novice. 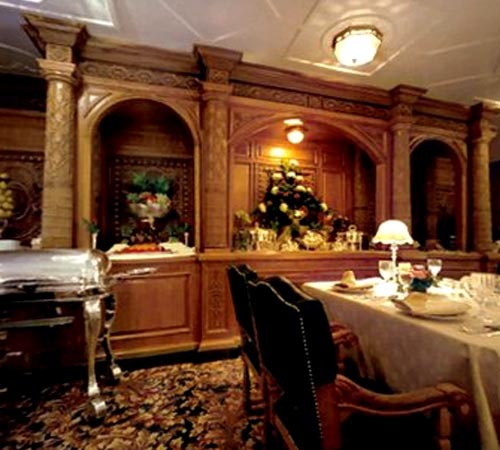 We pulled straight from the Titanic’s first class menus to deliver this unique culinary and historical experience. Learn how to cook dishes that were polular in the Pre-World War 1 era including Filet Mignon Lili, Waldorf Pudding, Consomme’ Olga. Spring will be in full swing and all those fresh herbs, greens and early vegetables beckon, so we’ll turn our attention to fresh-from-the-garden ingredients grown nearby. Dishes that you will enjoy include Farm Egg with minted pea cakes, Asparagus, Herb Sabayon Pasta, Herb Pesto, Toasted Pine Nuts Sauteed Chicken, Thyme Brown Butter, Herb Risotto and Mint Berry Trifle. Dates don’t work for you? Create your own Private Cooking School Weekend!